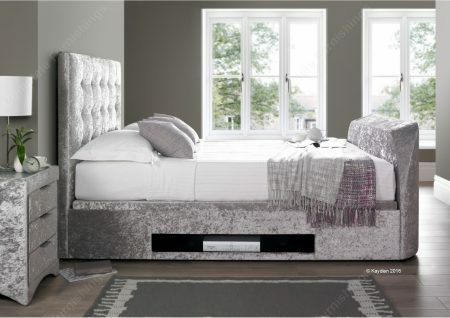 Through investing and development of new innovative designs and by increasing the dynamic range of quality products, Kaydian Designs has grown from strength to strength and is now one of the leading suppliers of leather and fabric bed frames in the UK. 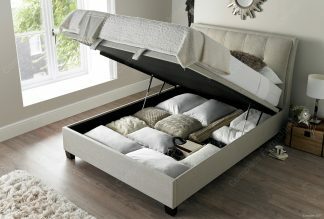 With an impressive range of TV beds to versatile ottoman storage beds with exclusive lift-up systems. All Kaydian items are made to the very highest standards. All Kaydian bed frames are built from plantation wood and boards with the foot accents made from solid plantation hardwood. 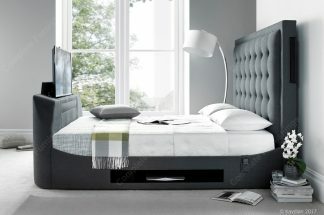 The upholstery is constructed with high density foams and fibres. 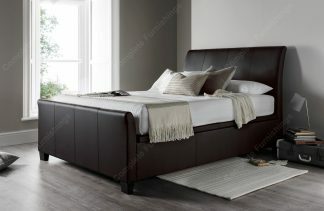 The Kaydian standard bed base system is constructed with high resilience beech/birch posture form slats with flexi cap fittings. 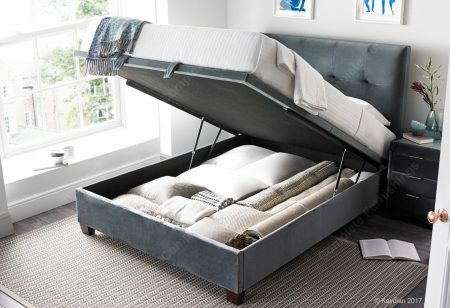 There is a heavy duty ‘no catch’ steel centre rail provides lift, support and ventilation to all mattresses. The ottoman storage beds and a selection of designs are manufactured with a platform style ventilated base unique to Kaydian. 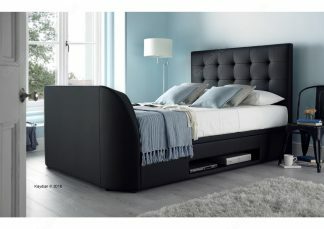 We offer NEXT DAY DELIVERY of Kadian Designs bed frames and bedside cabinets if ordered before 10am.